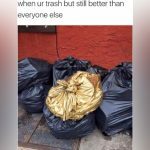 Talent can definitely take you places if you know how to use it! This 3D illustrator named Miguel Vasquez is definitely a skilled and talented artist and you are about to see some of his work. The following images are actually among the most curious things he ever created! You will be baffled and amused at the same time, we guarantee that! 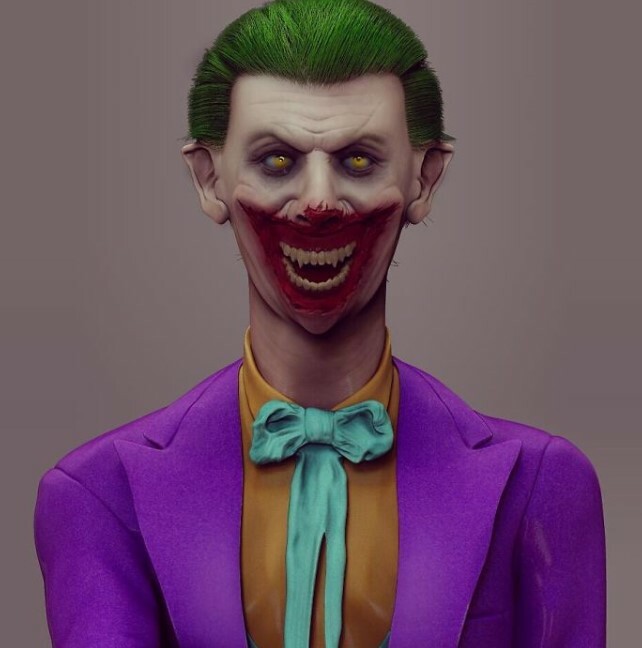 Some of the most famous cartoon characters were recreated by the artist. He wanted to see how they would actually look if they were close to real life. 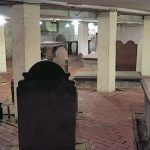 The list below is worth checking out, so scroll down and be amazed! We love The Simpsons and we guess that we are not the only ones. The show is still a massive success and the people behind it are not only geniuses but they apparently have psychic powers! The show is famous for predicting a lot of events that happened years after they were featured in different episodes. We wonder if they predicted this! 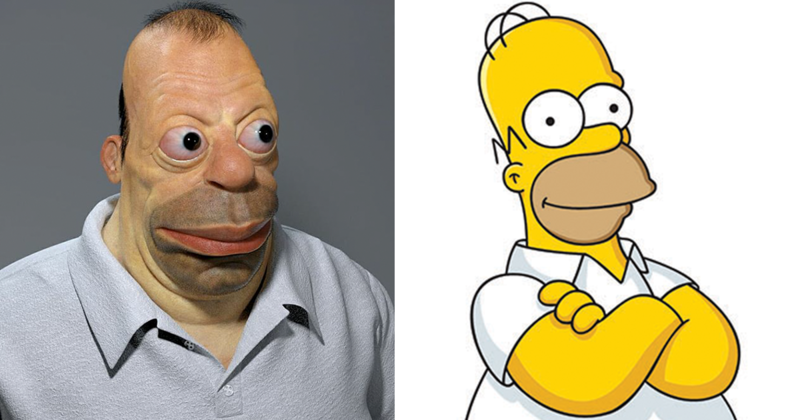 The image of Homer as a real man is really curious but we prefer the cartoon version. SpongeBob is also one our all-time favorite classic cartoon characters. The show is brilliant and everything about it is either funny or smart, or both. However, we never thought about the characters’ appearance if they were human. 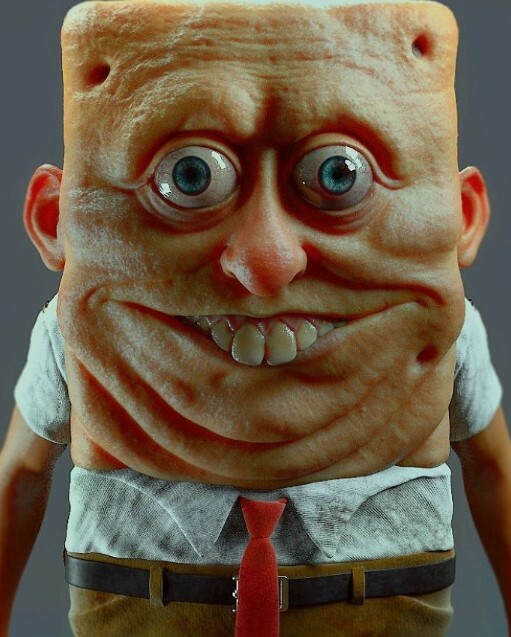 We guess that some should never exist and one of them is the real version of SpongeBob. That is definitely not the most beautiful face we have seen. 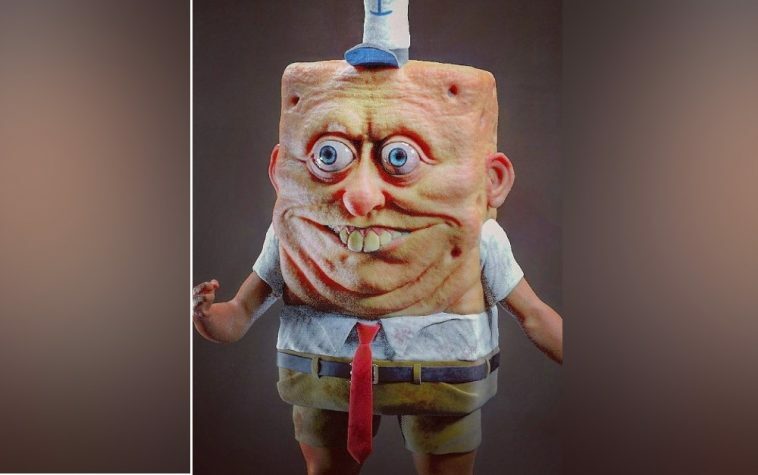 We believe that the artist decided to recreate the other iconic image featured in the SpongeBob SquarePants series after he saw how SpongeBob turned out in the end. He knew that everyone who saw the images would be baffled and he was not wrong Of course, the character we are talking about is Patrick and the result of Vasquez’s work is curious. We were about to use a stronger word than that but we restrained ourselves from further comments. Let us just move on. As you would expect, the characters that look as close to humans as possible would be the best among Vasquez’s work. 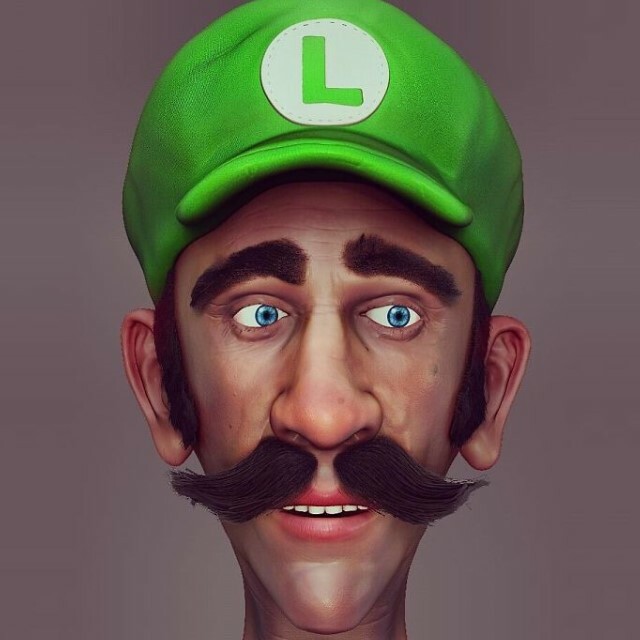 This is true and Luigi is the first on the list that actually looks kind of normal. He is a fun guy and you can tell that by simply taking a look at his realistic version! Chances are that somewhere around the world a person who looks exactly like that exists and we would like to see a photo! We guess that some cartoon characters are simply impossible to be recreated in a human form. 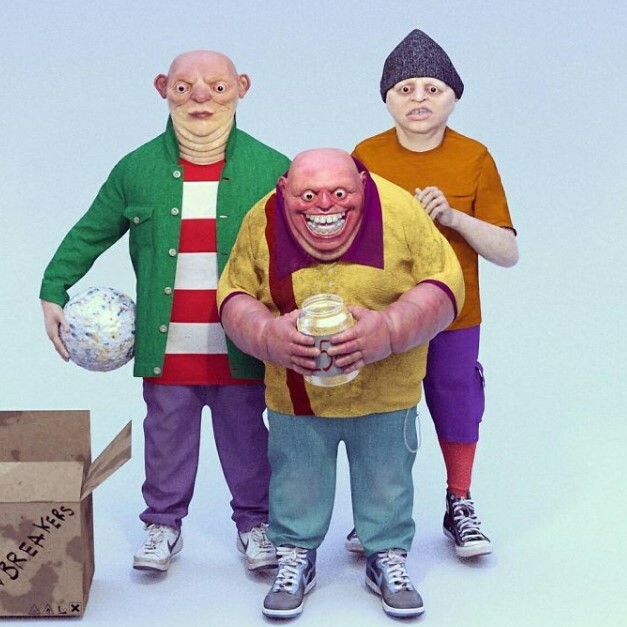 The guys from Monsters Inc. are definitely hard to turn into humans so the 3D artist decided to simply make them more realistic. We are not sure if he actually thought about how Mike would turn out in the end but we are convinced that he was at least a bit surprised! It is only natural that we continue the list with Phineas! 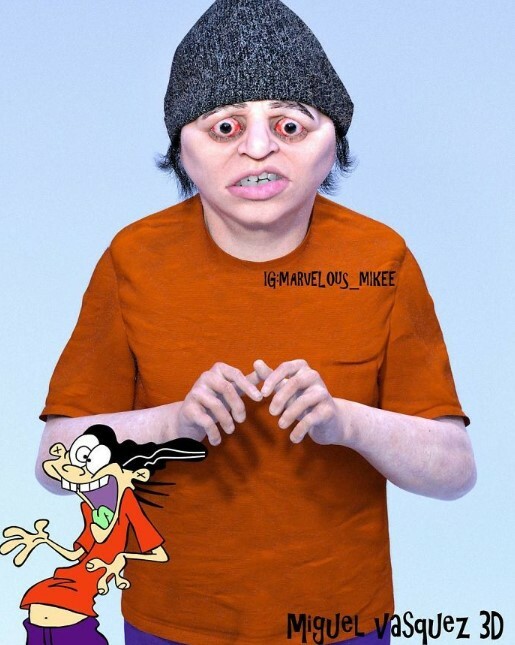 As you can see, the life-like version of the cartoon character is definitely weird and different from the original! Maybe the reason is the style of the original cartoon. It was never meant to appear realistic. We guess that this makes the work Vasquez did a bit more exciting. 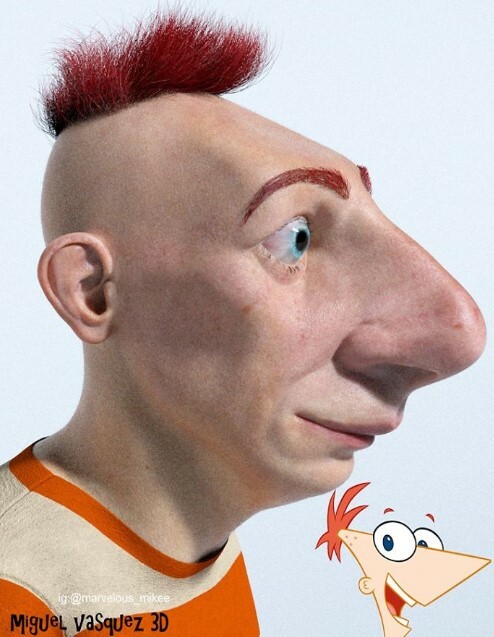 Unlike Luigi, for example, nobody would have guessed what Phineas would look like if he turned into a real person. Now we all can see that it would not be a good idea. Now here is something we definitely wanted to see! 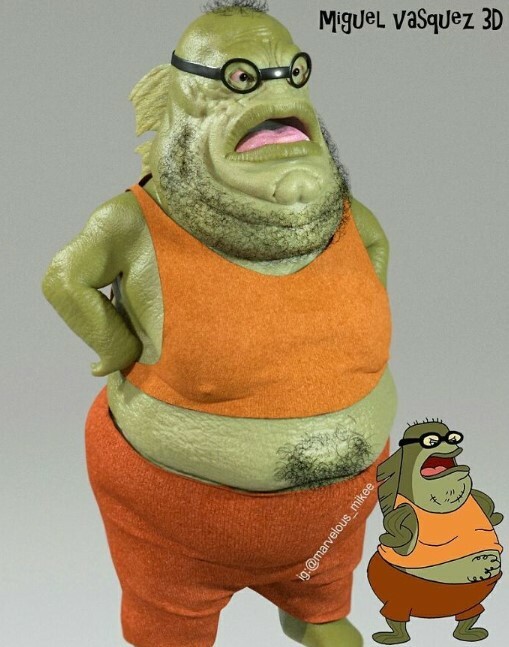 Bubblebass is one of those characters that have the weirdest appearance features. He is a weird combination between a chubby grouch and a fish. All the typical details for this character were included into Vasquez’s creation and it looks absolutely hilarious. Just seeing the hairs on his chin and belly were enough to make is laugh out loud! The artist really created the closest possible live version of the original character and it was curious to see! Ferb is probably one of the most controversial characters on the list. And by that we mean his realistic reincarnation. 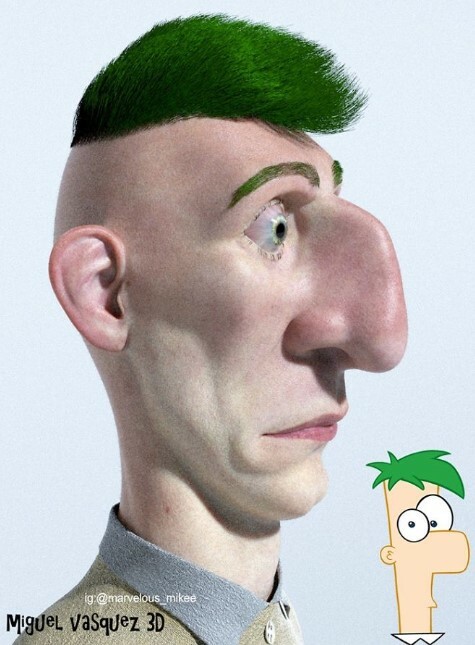 The 3D artist really did his best and made Ferb appear as real as possible. This is exactly the problem. The original appearance of the character was not realistic at all but Vasquez’s creation actually looks like a human! This is puzzling and we believe that the fans of the original animation would be divided in their opinions. The 3D illustrator really did his best on this one! As you can see, Eddy is definitely not what you would expect but Vasquez was actually pretty accurate in recreating his image. 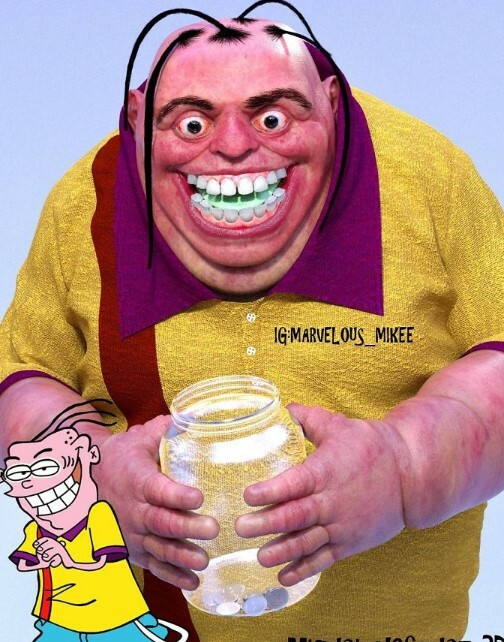 Eddy is definitely a favorite character and we grew up with his constant scams and plots. His realistic version is not that attractive but we are sure that his attitude would always remain the same no matter how he looks like. Maybe some of you might consider this recreation to be a bit too much but we hope that nobody’s childhood memories will be destroyed after seeing this list. After all, we are grown-ups now and we cherish the memories and will continue to do so. Since we are still on that show, we might as well say a few words about Edward. He was the smart one of the awesome trio but there were things about him that always concerned us. First of all, what’s up with that hat and that long face all the time? We guess that they are some of his most distinctive features but they also made him look as if he was constantly sick. Vasquez made sure to recreate every single feature of the cartoon character and he really pulled it off. 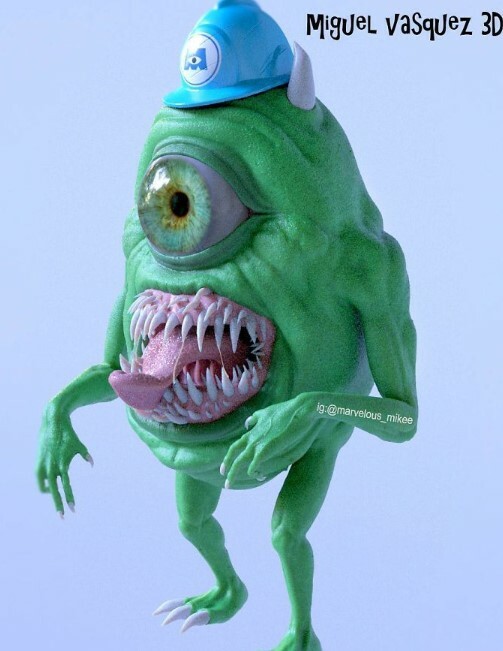 Now this is one piece of 3D work that we simply cannot appreciate. We love Courage and we cannot believe the way Vasquez recreated him! Of course, we get that his intention was only to create the closest realistic version to the original character. However, in this case it backfired massively! The quality of the work done is superb; there is no doubt about that. 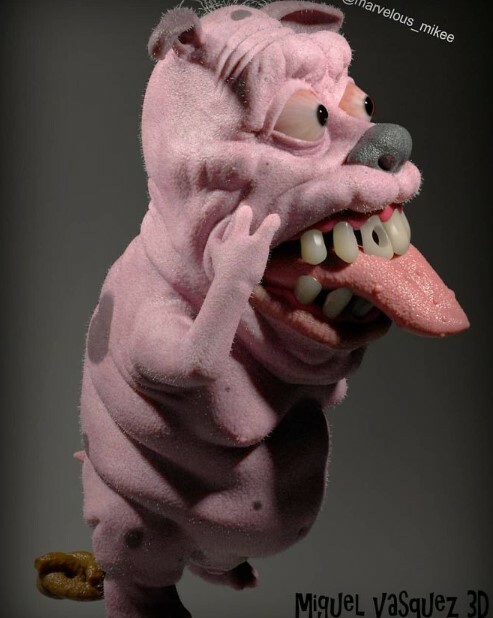 What puzzles us is the fact that Courage was goofy and cute as a cartoon character but the 3D version is just plain creepy! It totally transforms the appearance that Courage was supposed to have and we do not approve such a change. We still salute Vasquez for his excellent work, though. 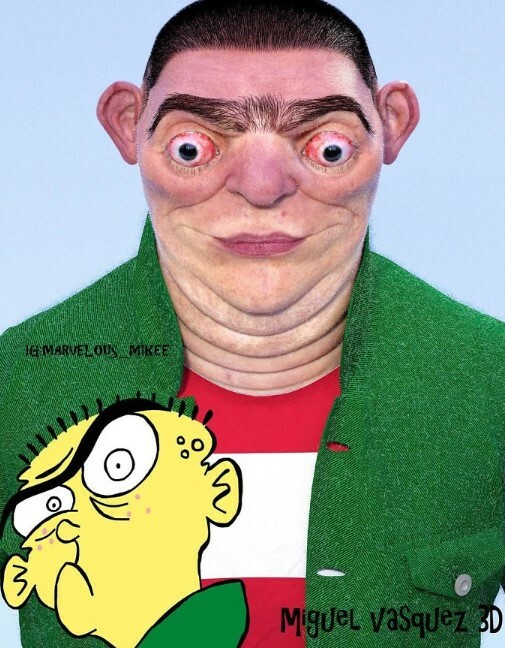 You probably thought that after we introduced Edd and Eddy, we were going to show you Ed as well, right? Of course we were and here he is in all his glory! ‘Mono brow’ is not looking sharp but, then again, the original character was not a hunk, either! 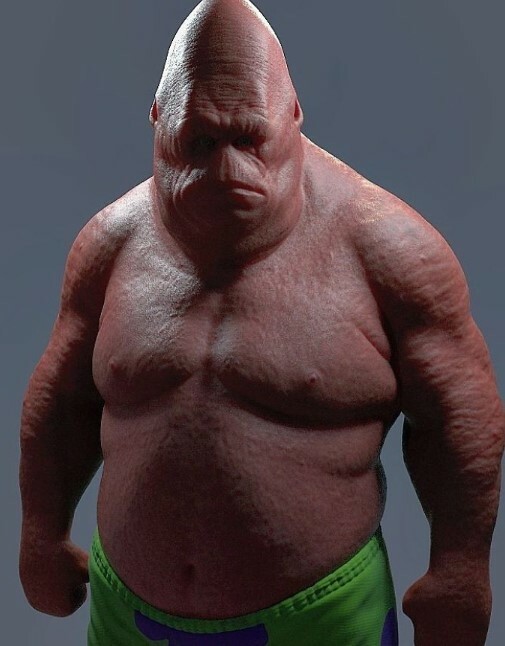 We think that this is one of the best recreations on the list and all the features that make Ed who he is have been added to his 3D version. Even better, Vasquez was able to keep the same kind of vibe you get by just looking at the cartoon character. This is definitely an awesome piece of work! This photo will likely leave you with a variety of mixed feelings. Seeing all three of them is something really different. Most of you probably remember the show well and the animated characters’ images are literally embedded in your heads. This is exactly how it worked with us! This is also the reason why we find it hard to accept these 3D visualizations. Sure enough, they are very well-made and you could easily tell who the characters are but this is not the point. Maybe these characters should have never been recreated to look as alive as possible. However, it is a curious thing to see for sure! We felt a bit awkward when we saw this Joker interpretation. Sure enough, the Joker always looked kind of spooky but not that much! He looks like a blood-thirsty vampire and we have no idea why Vasquez decided to give him such an appearance. It does not look that much out of place but this is still not the typical Joker face we are used to. Let’s hope that this appearance will never become a part of an actual movie or a comic book.